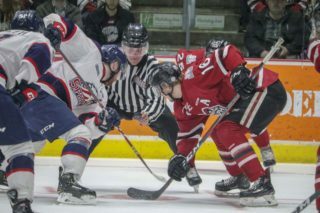 The 25th edition of the Wawanesa OHL Plays of the Week for the 2017-18 season feature another collection of the league’s Top-5 goals scored in the final week of regular season action ending March 18. 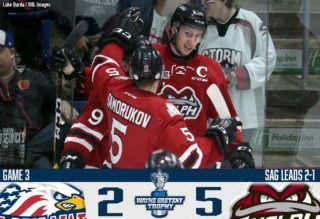 This week’s highlights begin with a milestone marker from Dmitry Sokolov of the Barrie Colts who scores his 50th goal of the season against his former team, and continue with a three-way passing play that features Peterborough Petes Bobby Down and Semyon Der-Arguchintsev who set up Pavel Gogolev for a one-timer finish. 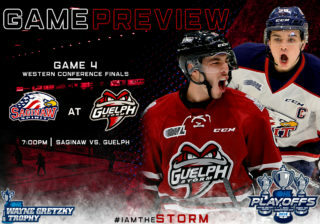 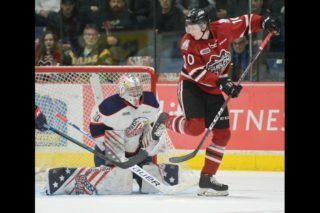 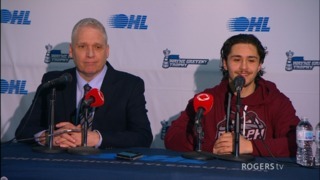 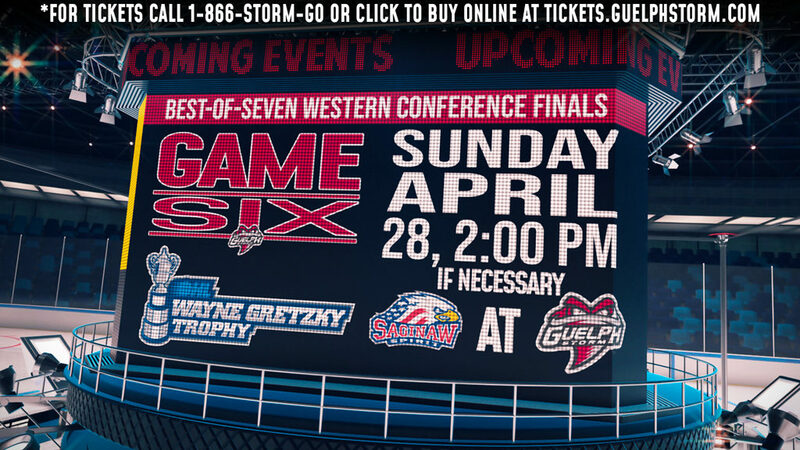 The segment also includes individual efforts by Igor Larionov of the Windsor Spitfires with an inside-out move, Ryan McLeod of the Mississauga Steelheads who turns on the wheels, and Jonah Gadjovich of the Owen Sound Attack who picks up his own rebound and goes between-the-legs for a goal.